The surprise news of the day is that the merger between Preston and South Ribble Councils is off. South Ribble Borough Council voted last night not to go ahead, after listening to the overwhelming pressure of public opinion. We can only salute the councillors of South Ribble for being brave enough to admit that they were wrong to support this merger idea, and for representing public opinion by rejecting it. Without the merger it will be far more difficult for Preston to push ahead its 'Riverworks' ideas, as their advocates will now need to push them through three planning committees instead of just one. This sudden and unexpected change of heart is an immense blow to Preston City Council’s leaders, who now see their big business inspired ‘expansion and growth at any cost’ agenda overwhelmingly rejected by ordinary people. Suspicion of the ‘Riverworks’ proposals and fear for what they might mean for the greenbelt between Preston and South Ribble was one of several factors that led many people to oppose this merger. Almost 90% of local residents who responded to South Ribble Borough Council's consultation process REJECTED the potential merger, and for a broad range of reasons. Save The Ribble Campaign asked several pertinent questions about what a merger and Unitary Status might mean (see 15th October article) for the Ribble and Green Belt areas if the overall control of the River Ribble and its green belt was in the hands of Preston City Council (keen to pursue their Ribble barrage and green belt building developments) rather than shared between themselves, South Ribble Borough Council, and Lancashire County Council, as it is at present. 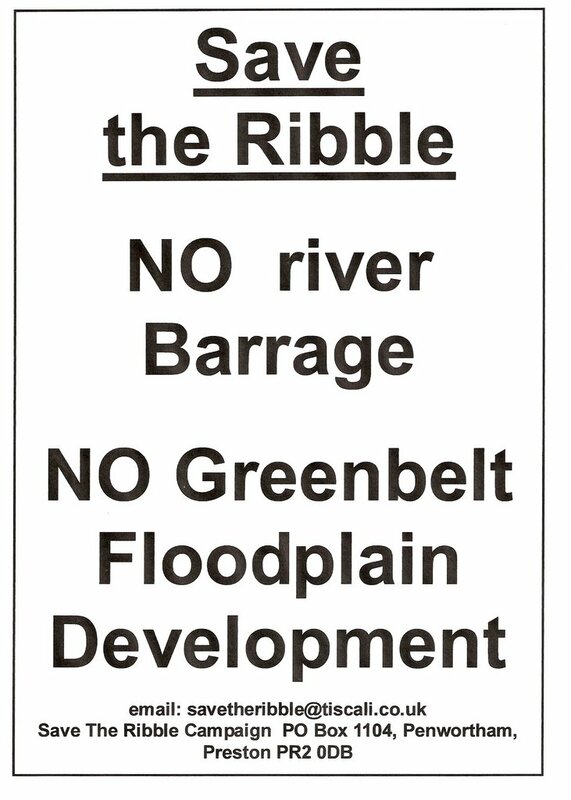 Save The Ribble Campaign are pleased that local democracy is alive and kicking in South Ribble, the Borough Council clearly listening to residents' concerns. 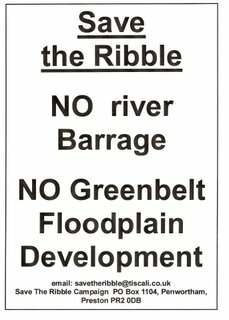 It is time for Preston City Council to start listening to public opinion too, and be big enough to admit that they were wrong to think about such irresponsible and dangerous ideas as putting a barrage across the Ribble and building over 4000 new houses in its floodplain. * Public pressure, if it is large enough and determined enough can make a difference. * People are not prepared to accept ‘growth at any cost’ – our green spaces and our river are precious to us. * Politicians and officials who are brave enough to admit they were wrong, and listen to ordinary people are almost as endangered as the Ribble’s Atlantic Salmon – let’s celebrate such brave people when we find them! but THE WILDLIFE TRUST ARE STILL JUST £16,500 SHORT OF THE TOTAL NEEDED and the DEADLINE IS FAST APPROACHING! A fantastic £33,500 of the £50,000 target has been raised so far - in just a couple of weeks - but the Wildlife Trust still urgently need £16,500 before 15th December 2006 to SAVE BROCKHOLES WETLAND, on the banks of the River Ribble, from development, and preserve this irreplaceable wildlife habitat for the environment and for local people FOREVER!! Buy a Gift of Wildlife and support the Brockholes Appeal for yourself or a loved one - what a fabulous present that would make! No matter how large or small the donation, IT WILL ALL COUNT! And all donations will be recorded on a special Roll of Honour to be kept at the Brockholes site. 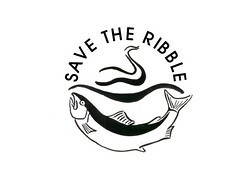 If you wish, you can write Save The Ribble on the form so that the Wildlife Trust can see which route your donation has come from. Your £10 donation will bring the Wildlife Trust another £300 towards the purchase and improvement of the site, under the terms of the "match funding" criteria whereby the £50,000 raised by 15th December will release a further £1.5 MILLION from other funding sources!!! PLEASE SEND IN YOUR DONATION TODAY - THERE IS LESS THAN A WEEK REMAINING TO SAVE BROCKHOLES FROM DEVELOPMENT. Article by Riversider and Reigh Belisama. Great site - well done. 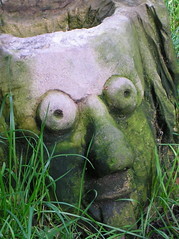 PS I sent a donation to save Brockholes. It will be a major asset to Lancashire.